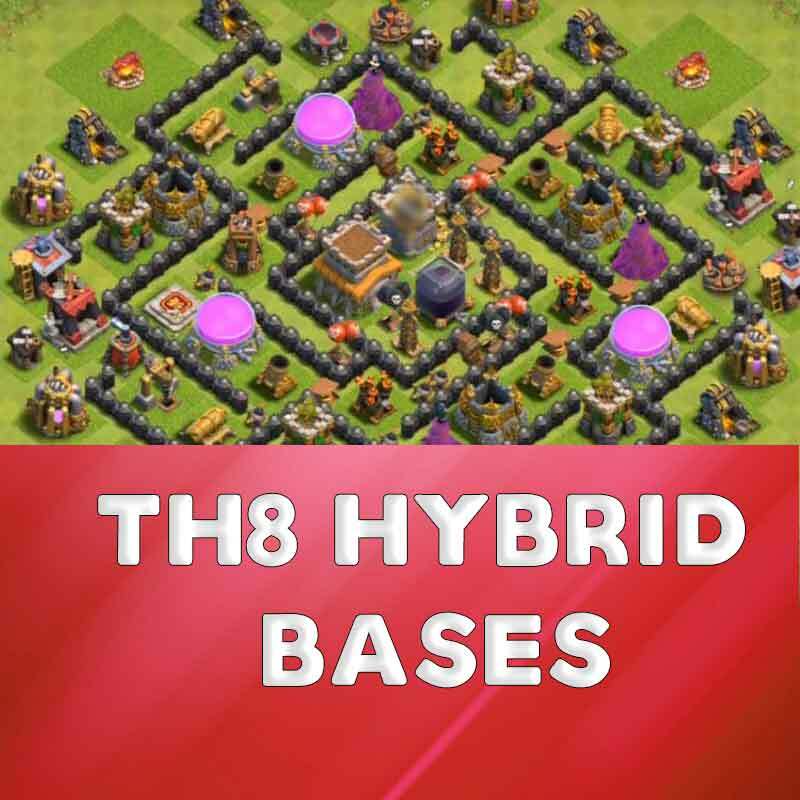 coc best th8 hybrid base with bomb tower 2019 new update. Want to add something to COCBASES? you can reach us in the comment section below. 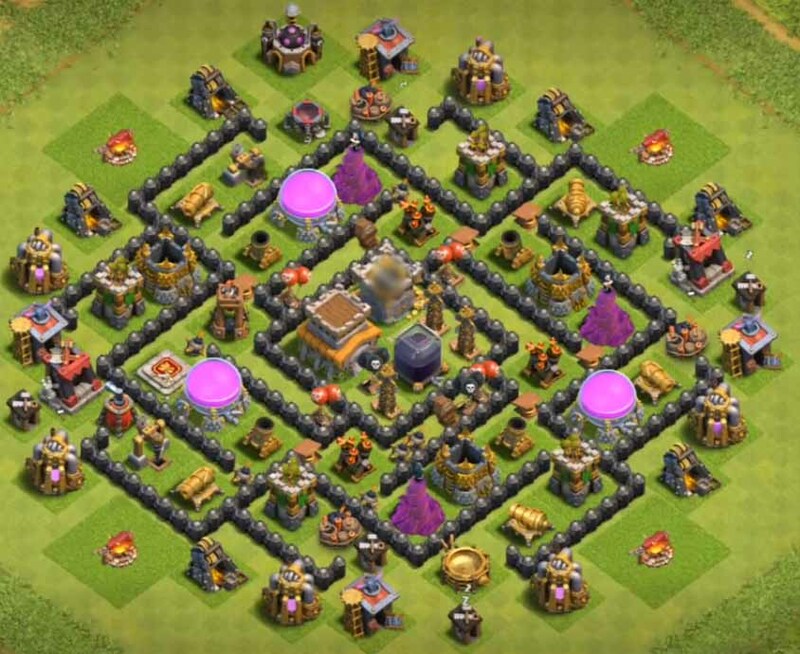 For more information about the clash of clans check out here. Do checkout YouTube Video at the end of this blog post that discusses top 5 th8 attack strategies after bomber tower update. 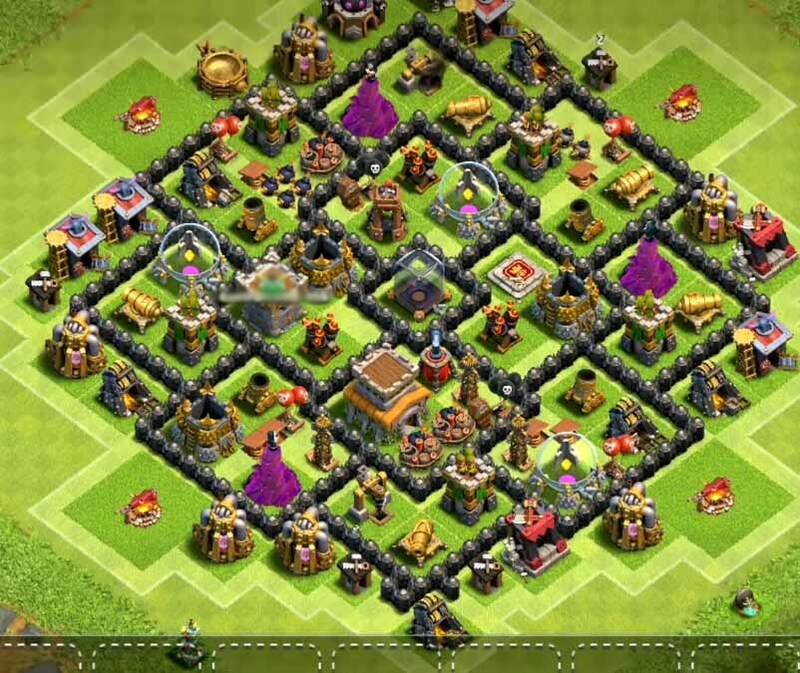 the building that is still in construction in the below base design is bomb tower please notice the change. The above base design looks really compelling to defend opponents in both multi player and wars. 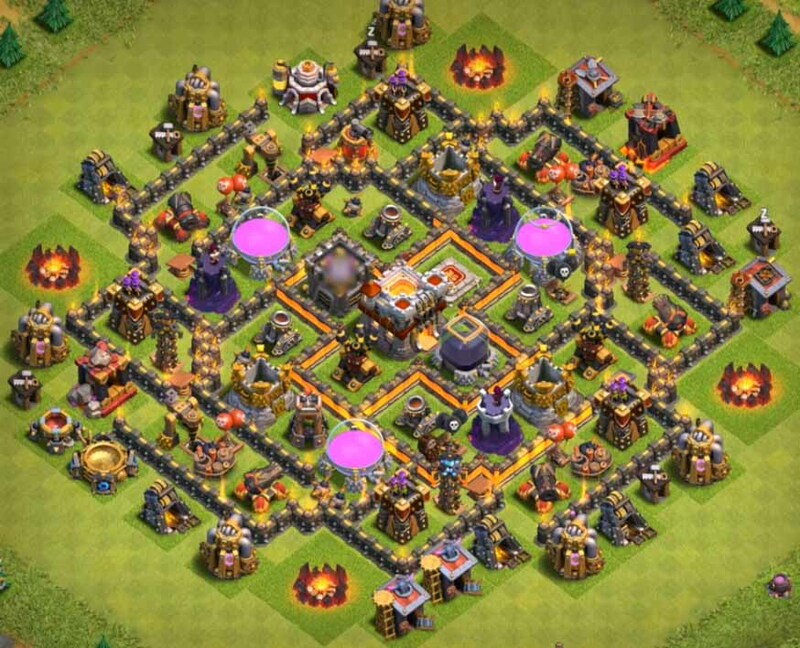 if you are looking for clash of clans town hall 8 trophy base layouts visit here. The below video discusses the top attack strategies at town hall 8 to get 3 stars in clan wars. Life becomes easy if there is one base for both war and farming village, that’s where the need of hybrid base comes in the picture. 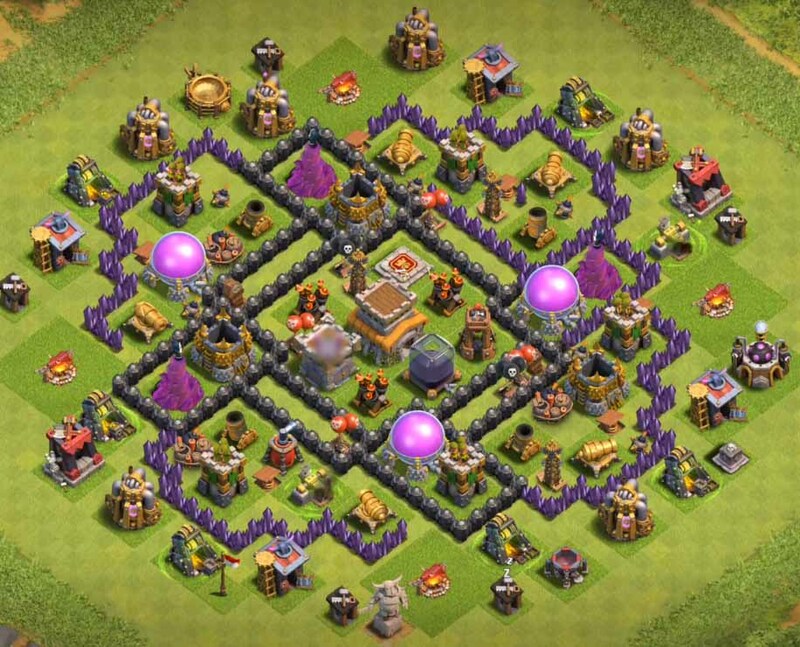 In this article, we have come up with the best clash of clans th8 base anti everything. 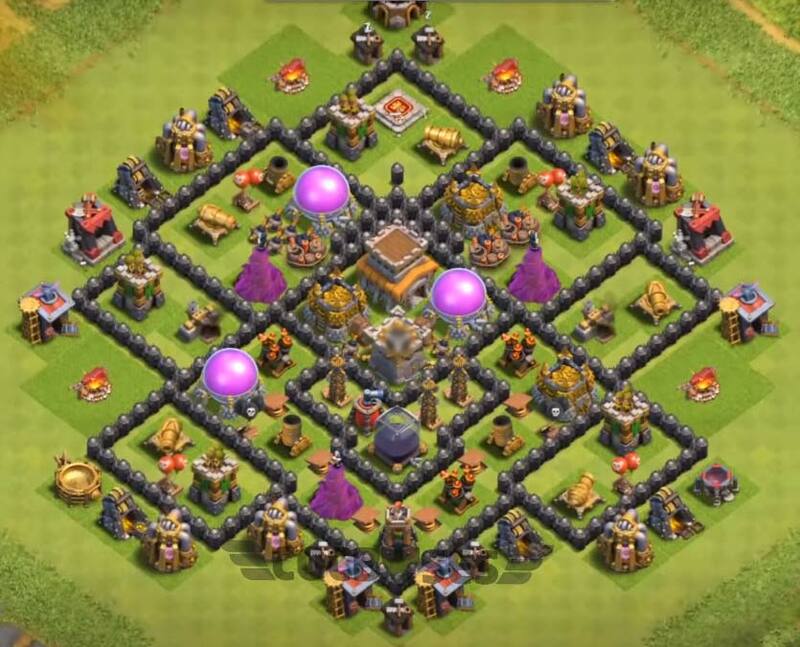 if we look at the first Anti Gowipe layout the town hall centered into the core of the base. The defensive structures are well distributed by considering the fact to withstand both war and farming attacks in war and multi player battles. So, coming to the second base it’s kind of compartmentalized base which is having three compartments having the different intersection of walls making harder for troops so it’s called as anti-Giants design. The third base is an anti dragon war base with three air defenses evenly distributed. The 3 Air defenses are placed exactly diagonally to each other cover the entire area of the village. Well done shravan. I always needed a goog guide. Plz send me more bases on instance @ Atharva_aka_hotfrost.